The Sharm Scuba Service Team will entertain you offering the best diving in Sharm El Sheikh and will make you discover every Red Sea secret! Have fun and enjoy our exclusive services on our boats NAUSICAA & NICOLE, which have been designed to give the best comfort to the divers and snorkelers. 2019, a new boat, new diving center, same professionalism and service. We are preparing a new venue to welcome you, come and visit us. Did you forget to update your logbook and no longer have the data? Contact us and we will send you all the details of your dives. We offer Diving Packages for Divers, Course from Open Water Diver to Instructor Level and Technical Courses to Trimix Diver Level. Every Dive is supervised by the expert guide of our Instructors with a maximum od 6 Divers per Instructor. For those who wish a new experience, DPV (diver propulsion vehicles) are available at the Diving Center and our Instructors will be happy to teach you how to use them and have great new emotions! Quando si dice la fortuna del principiante! Prima immersione in mare del corso OPEN WATER, SQUALO BALENAAAA!!! Complimenti ragazzi!!! Gabriele, Alessandro, Barbara, Max, Claudia, Miky and all the Sharm Scuba Service Team will welcome you in the most nice and professional way like it has always been in this Diving Center over the years and will make you discover all the Red Sea’s beauty. While enjoying the journey on M/Y NAUSICAA or M/Y NICOLE you will have the opportunity to taste some real Italian coffee and some wonderful Italian pasta! Confirm the dives inside your Divers DiveSSI App. 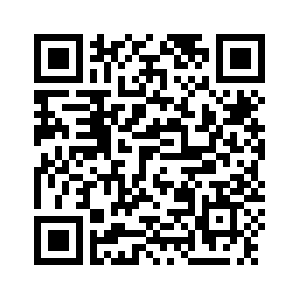 Open the dive, click on CONFIRM and then scan this QR code. The SeaSoul Family has joined the Sharm Scuba Service to continue to entertain you under water … Claudia and Miky await you! Add an Italian style touch during every underwater activity – Make you feel home with the guarantee of the best service. Shore Dives and Night Dives are always available at the Center. Highly qualified Instructors and Guides, motivated by a huge passion for the Sea and what’s underneath it.